For added value to the app and your business, we have built in opportunities so partners, sponsors and exhibitors can be featured in the ads.Link to your site, add contact information, add downloadable pdf documents, and transform ad placement into a platform for your product videos! The possibilities are endless. Feedback which supplies statistics is simple and clear. And, without printing, you create an environmentally friendly event as well as reduced cost! A splash is the image / logo that meets the user when the app starts. This is an excellent opportunity for the main sponsors or exhibitors to appear. To illustrate: Over 5 days at Kirurgveckan14, the event’s 2,000 participants saw the splash 68,000 times! 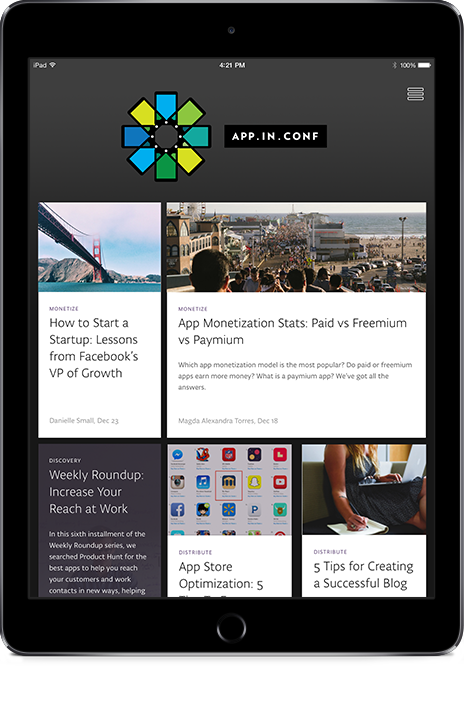 Like other marketing features in the app, splash is measurable. 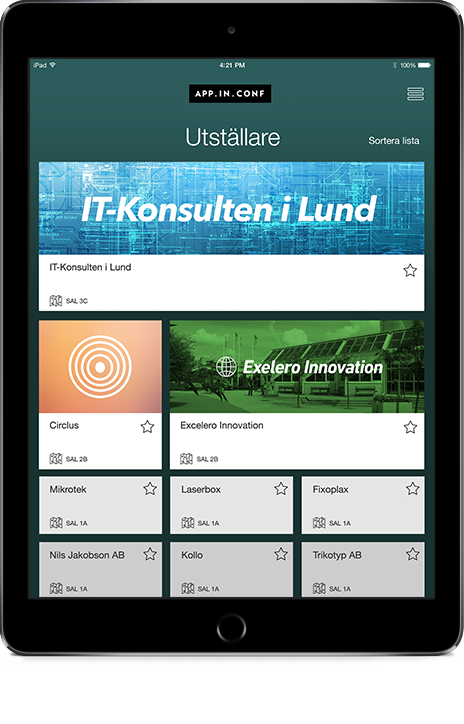 For Exhibitors there are unique opportunities in the app to introduce their company, showcase products and services and link to their online presence with text and images – all in a flexible design with high measurability. Amplify your message with moving images that set off the text-based product information. 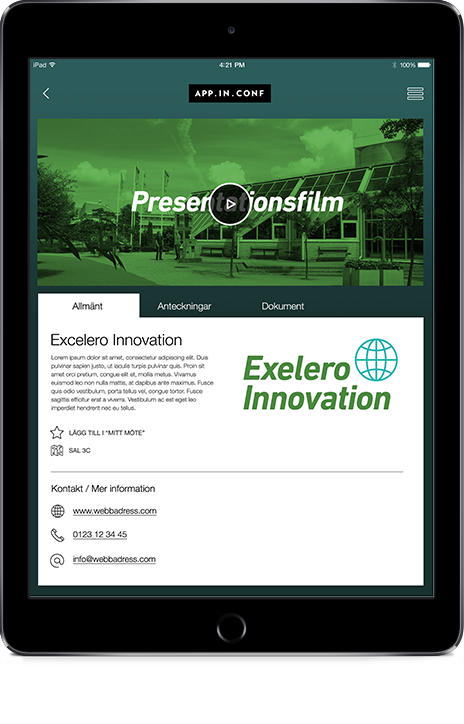 Offer downloadable product sheets and manuals directly in the app to participants. In a few simple steps you can also share via email. Send short messages in the form of push notifications to all participants, or selected groups. For example- vacancies at a workshop, an invite to a glass of wine at your stand, or whatever offering you want to reach out with. Do you want to encourage participation to your newest launch with a contest featuring meaningful prizes? With our app, it’s easy! Låt appen generera intäkter åt dig med hjälp av annonser!